John Ross from a old painting. Before the Cherokee Removal in 1838, Chattanooga was known as Ross's Landing. John Ross established this ferry landing and trading post at the current site of the Tennessee Aquarium and Market Street Bridge in 1816. Ross would later become nationally prominent as principal chief of the Cherokee Nation. John Ross was born on Oct. 3, 1790, to Daniel and Mollie Ross in Turkey Town, what is now Etowah County, Ala. Daniel, a native of Scotland, joined the trading house of John McDonald and married his daughter Mollie in 1785. Mollie's mother, Anna Shorey, was a daughter of William Shorey, interpreter for the British army, and his Cherokee wife. John grew up at his father's store on Chattanooga Creek near the foot of Lookout Mountain. His grandmother, Anna McDonald, imbued in him a deep love of the Cherokee people and their traditions. John's formal education began at a school, the first in the Cherokee Nation, that Daniel started at his home with Rev. Gideon Blackburn, a missionary to the Cherokees. Later John studied at an academy in Kingston, Tenn., formerly Fort Southwest Point. In 1809, Cherokee Agent Return J. Meigs sent John Ross to Arkansas to evaluate the needs of the Western Cherokee. In the War of 1812, Ross served under Andrew Jackson as an adjutant of the Cherokee Regiment. He served again in the Creek Wars of 1813-14, attaining the rank of lieutenant at the Battle of Horseshoe Bend. In 1816, John Ross opened the trading post known as Ross's Landing. He also established warehouses for his trading company, raised tobacco on a 170-acre farm and helped start the Brainerd Mission and School. During this period, he lived in the log house in Rossville built by his grandfather John McDonald. When a U.S. Post Office was established in Rossville in 1817, John Ross was appointed its first postmaster. That year he also was chosen a member of the National Council. Increasingly involved in Cherokee politics, he moved to Coosa near the current Rome, Ga., to be closer to the Cherokee capitol at New Echota. › Who: National Park Service Ranger Chris Young. › When: Aug. 12 from 2 to 3:30 p.m.
› Where: Chief John Ross House, Lake Avenue and Spring Street in Rossville. In 1828, he was elected principal chief of the Cherokee Nation. The State of Georgia confiscated Ross's home at Coosa in 1830, and he moved to Red Clay, Tenn., the new center of government for the Cherokee Nation. After gold was discovered in North Georgia, the state outlawed the Cherokee government. President Andrew Jackson authorized the Indian Removal Act in 1830. Chief John Ross and the majority opposed it, but a splinter group signed the treaty, which Congress ratified on May 23, 1836, setting the stage for the Cherokee Removal, known as the Trail of Tears. On Nov. 14, 1838, 10 days after the last contingent of native Americans left for the West, the name of the Ross's Landing post office that had opened at Long's store the previous year was officially changed to Chattanooga. After supervising the departure of 13 groups on the 2,200-mile overland march, Ross and his family departed on the water route. John Ross's wife, Quatie, died on the journey. 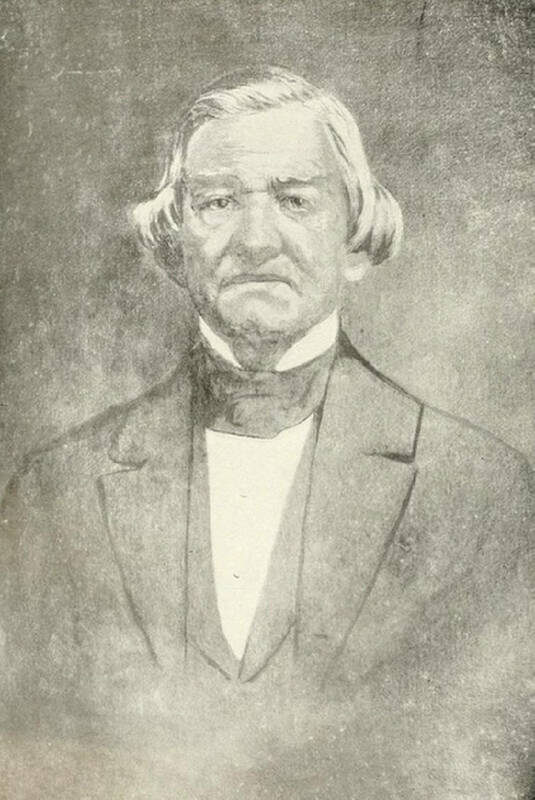 In Oklahoma, Ross was re-elected principal chief of the Cherokee and continued to serve in that capacity until his death at age 76 on Aug. 1, 1866, in Washington, D.C., where he was working on behalf of his people. He was buried at Ross Cemetery, Park Hill, Okla. The house is the last remnant of this area's Cherokee past and has a fascinating history. When John Ross moved to Coosa, he turned it over to the Rev. Nicholas D. Scales, who was married to his niece. James Jones from Laurens County, Ga., won it in the land lottery after the Cherokee Removal and promptly sold it to Thomas G. McFarland, a surveyor, whose family occupied the structure and land for the next century. During the Civil War, it was a hospital for both Confederate and Union forces. When the house was threatened by development in the late 1950s, citizens in the area formed the Chief John Ross House Association and saved the structure, which had fallen into disrepair, by moving it in 1963 to the other side of Poplar Springs, still on the original McFarland tract. The house became a National Historic Landmark in 1973.